We are offering wide range of Baby Pillow. We are remarkable entity, engaged in offering superior quality Baby Pillow Set. 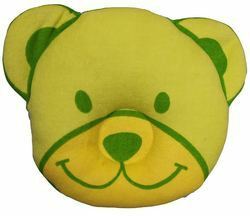 The range of kids pillows including combi pillows and recti pillows offered by us are not only safe for kid’s usage but also come in beautiful designed finishes including popular caricature embossements. These are available in varied sizes as desired by the clients. 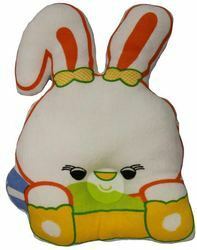 Deals in high quality of kids pillow or soft toy pillow. Highly durable and comfortable, these kids bed sets are made from quality cotton cloth filled with high quality fiber. Our quilted kids bed sets are fluffy and light in weight. 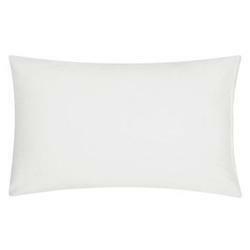 Banking on our enriched industry experience, we are able to supply 100% Cotton Cover Kids Pillow Pack of 2 by KRP. We are specialized in offering Organic Cotton Baby Pillow to our customers. Our presented product is extremely used in the market owing to their top features. This lovely stylish baby pillow helps baby sleep more comfortable useful in daily life. Looks very attractive. Also can be hangs around the wall or bed to avoid baby hitting the wall. Absolutely darling as it is or you can personalize with your child’s name or initials. Lapopi U shape pillow made of 100% baby friendly fabrics is specially designed to support babies neck . Suitable for babies of (0 to12mts).